Control on FTE and paid hours finally possible! The Decimal Suite contains a powerful payroll planning and management engine, or PPM that allows users to factor in whatever details are required for them to accurately calculate the payroll for each cost centre. Allow calculation of all compensation costs and keep track of the type of expense (regular salary, overtime, social security tax, possible premiums, retirement funds, union clauses or collective agreements, non-monetary benefits or any other aspect of the organization). Can create an unlimited number of expense types or calculation rules. Can create several scenarios and quick observation of the results of these different hypotheses. This makes the module an excellent budgeting as well as payroll planning tool. It is also extremely helpful in negotiating collective agreements, as it is easy to instantly calculate the impact of proposed changes on pay rates or working conditions. 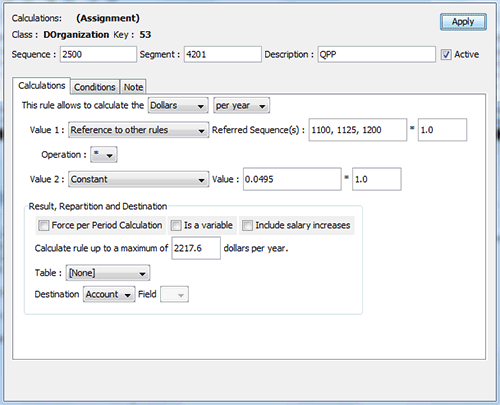 The payroll planning and management tool enables users to structure all the elements that go into creating the chart of accounts by defining the different structures associated with each position, such as job status (regular full-time, regular part-time, occasional, FTE), position category, shift and union. 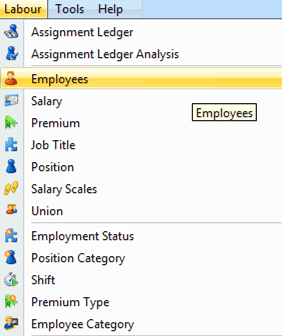 Next, we define the structures associated with each employee, such as the employee category and employee salary. The chart of accounts is created from the combination of structures associated with employees and structures associated with positions. Next, business rules are applied to each of the pre-defined structures, whether they are associated with positions or employees. This means premiums can be granted to employees with a specific employment status, such as those with regular, full-time status, for example. Business rules are powerful, highly flexible and able to overlap, i.e., the calculation result of one rule (or rules) can be input into another rule. They can calculate hours, quantities or dollars. For example, the tool can be used to accurately calculate the cost of benefits such as the Québec Pension Plan per employee, which takes into account both the hourly rate and the number of hours worked. Sample business rule for calculating the Québec Pension Plan: the rule gives the sum of three different rules (1100 – regular salary calculation, 1125 – overtime calculation, and 1200 – premium calculation), and multiplies the result by 4.95%, up to a maximum of $2,217.60 per year. 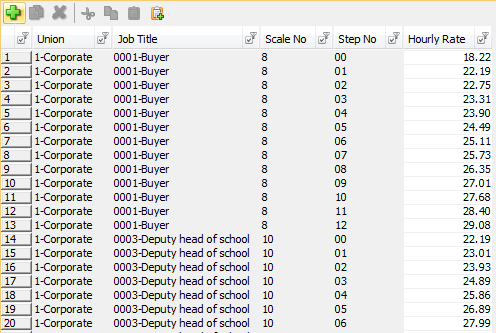 The calculation engine processes business rules that apply to structures (associated with positions, associated with employees) according to a very specific hierarchy. Structures lower in the hierarchy automatically inherit the business rules that apply to structures higher in the hierarchy. For example, at the top of the hierarchy is the organizational complex. A rule that applies to the organization applies to everything. The cost of benefits, such as the Québec Pension Plan (retirement), usually apply to the organization. Union data is located lower in the hierarchy, so only employees associated with a union will inherit the business rules applied to a union. Placing the employee at the base of the hierarchy enables us to calculate the cost of a day’s leave on the employee’s birthday, so the cost per employee would be calculated and factored in at the right time. The payroll planning and management module also enables us to calculate other, non-salary costs associated with employees, such as a monthly budget allocation of $60 for senior executive cell phone expenses. This brief explanation is intended to give you an overview of the tool’s many features. No matter how complex your payroll costs, rest assured that it is fully capable of easily and accurately modeling them. Discover the features of the Decimal Suite.